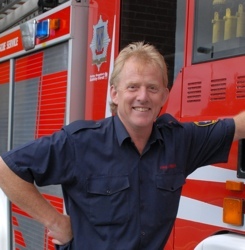 It's the early 1980s and rookie fireman Malcolm Castle is set to take on the biggest challenge of his life. After three years bouncing around in the back of the country Fire Engine he's about to start driving it! At just 22-years-old - less than half the age of many of his colleagues - he's set to thunder through the narrow street's of one of England's most beautiful medieval towns and speed out across the glorious Shropshire countryside. But while his responsibilties are changing fast almost everything else in Malcolm's life stays the same. Despite facing his fair share of car accidents, house and farm fires he still seems to spend an awful lot of time answering a string of unlikely and unexpected emergency calls. He rescues short sighted dogs from frozen lakes, newborn lambs from flooded golf courses, a pair of angry cows from a busy dual carriageway - and even a hot-footed hamster from a burning cage. Backed up by a heartwarming cast of fellow firemen, Malcolm's enthusiasm for his job and his life are as infectious as ever. So whether it's cat's up trees or trees on cars follow Malcolm as he takes to the wheel for another crazy year in the country fire brigade. 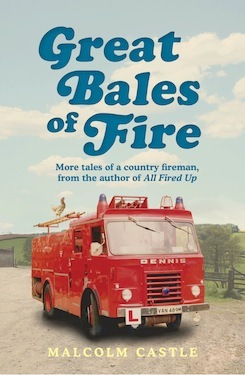 Told with the same gentle humour as his first book, All Fired Up, and filled with even more extraordinary real-life anecdotes, Shropshire's longest-serving fireman is back - a little older, a little wise and even more convinced he has the best job in the world.